Rubberised twin sliders for comfort. Blade storage for 5 blades. 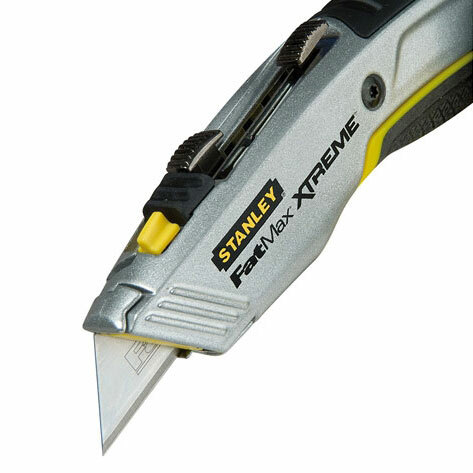 Safety Interlock mechanism ensures only 1 blade can be exposed at any one time. If you require further information on our FatMax Retractable Twin Blade Knife give sales a call on 01942 720777 or email us on sales@nwtt.co.uk.